Appendix and Odd Ball Stuff. Red Rose Magazine early 1987. 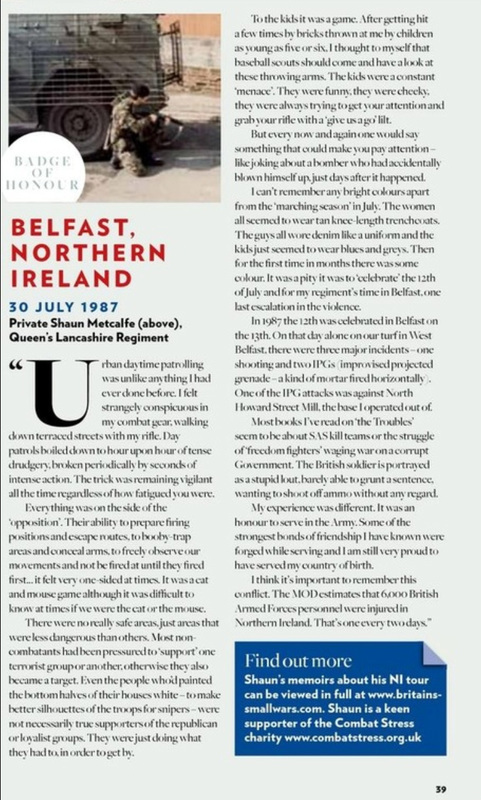 By this time we were well in to NI training but were still training for a conventional war. I was part of the 9 Platoon (C Coy) winning team.